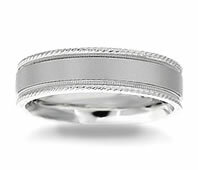 This 7mm wide 14k white gold wedding band has a brushed metal center section design with a milgrain finish around each side of the ring. 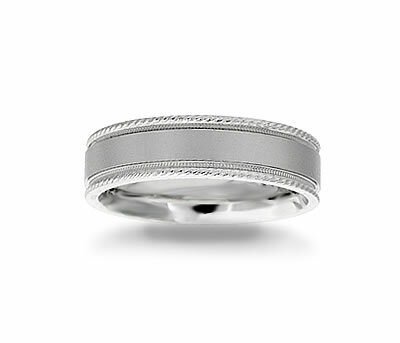 This ring also has a rounded inner edge for that desired comfort fit! Definitely eye-catching!